Some women experience health issues after a Tubal Ligation. This is known as Post Tubal Ligation Syndrome (PTLS). Doctors are unaware of the cause of PTLS, but Dr. Morice can agree that this does appear in some patients after their Tubal Ligation. Luckily, Tubal Ligation Reversal surgery typically helps these patients by stopping their symptoms. If you are having abnormal symptoms after your Tubal Ligation contact your physician. 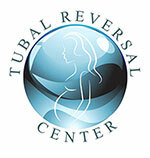 If you are considering having Tubal Reversal surgery to restore your fertility, Dr. Morice is your best choice!